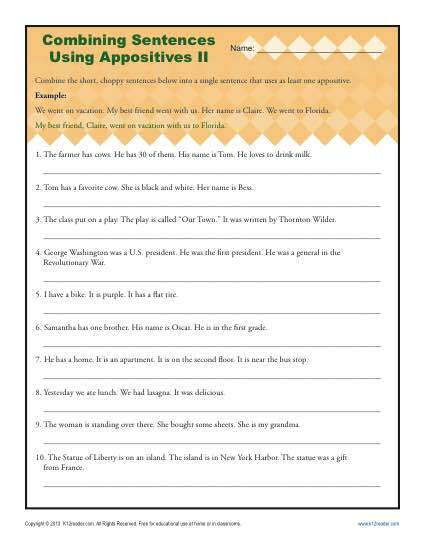 This worksheet continues the combination of sentences by using an appositive. This technique makes writing more fluent and interesting. Your student will be amazing with appositives in no time!